Ten years ago experts were concerned the message about the best way of dealing with the problem was not be getting through. Then eight in ten Australian adults said they had suffered from back pain in the past six months. Today The Lancet has found that, globally, years lived with disability caused by low back pain had increased by 54 per cent between 1990 and 2015. 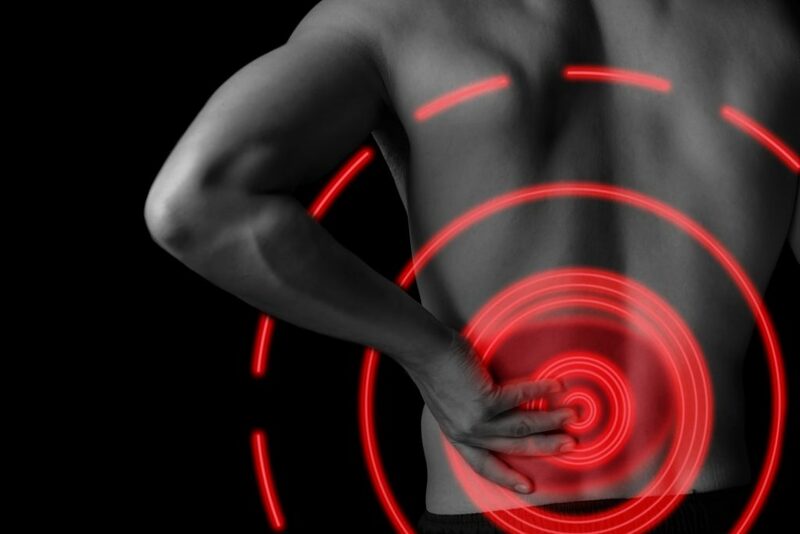 It estimated that 540 million people worldwide are now affected by back pain at any one time, while in Australia more than 3.7 million people experienced this type of pain. So why and what should we be doing about it? A consumer survey presented at the Australian Pain Society Annual Scientific Meeting showed one in five Australians with back pain continue to turn to anti-inflammatory medicines as their first choice medication despite guidelines that say paracetamol is a better option because of “adverse effects are common” with anti-inflammatories (see sources below). In addition, one in eight Australians with back pain resort to bed rest, ignoring recommendations about the importance of remaining active. Professor Andrew McLachlan from the Faculty of Pharmacy at the University of Sydney and Concord Hospital told delegates that better management of back pain in the community would lead to better outcomes, reduced impact on the health system and reduced side effects. He said that by not using proactive measures – such as physical movement and appropriate analgesics in the appropriate doses, sufferers may be sowing the seed for further episodes. “There are plenty of established, evidence-based guidelines out there that advise against bed rest and a limited role of physical manipulation, but recommend paracetamol as the first line pain relief. Only around one in three people say paracetamol is the first medication they use, so the challenge is to raise awareness of the guidelines and to get people who suffer from back pain to follow them,” said Professor McLachlan. Professor McLachlan was concerned that some people may have misconceptions about how pain relievers can help to manage back pain. “There is evidence of under-dosing with pain reliever medicines. It’s as if people think they can take a couple of paracetamol tablets today and the pain will be gone for the week. We want people to be using the right medicines, in the right doses over the appropriate time period. It’s all about maximising the quality use of medicines. “I think this survey represents an extremely valuable dataset that identifies where the opportunities are to inform healthcare professionals about what they need to tell their patients,” said Professor McLachlan. Back pain specialist Dr Vik Wilk, who is a founding member of the Australasian Faculty of Musculoskeletal Medicine told delegates he thought people with back pain would consult pharmacists more for advice about their pain than the survey showed. Only 2% of respondents with lower back pain said they consulted a pharmacist about the problem. “I would encourage people to consult healthcare professionals for advice about managing back pain. Pharmacists, GPs and physiotherapists are all good sources of advice,” said Dr Wilk. Dr Wilk expressed some concern that some people were continuing to use anti-inflammatory medicines even though they reported having a condition that could be worsened by these medicines – like asthma or an ulcer. “One in three people who reported having an ulcer were still using ibuprofen for their back pain – which could potentially be making their ulcer worse. These kinds of results underpin the importance of consulting healthcare professionals,” said Dr Wilk.